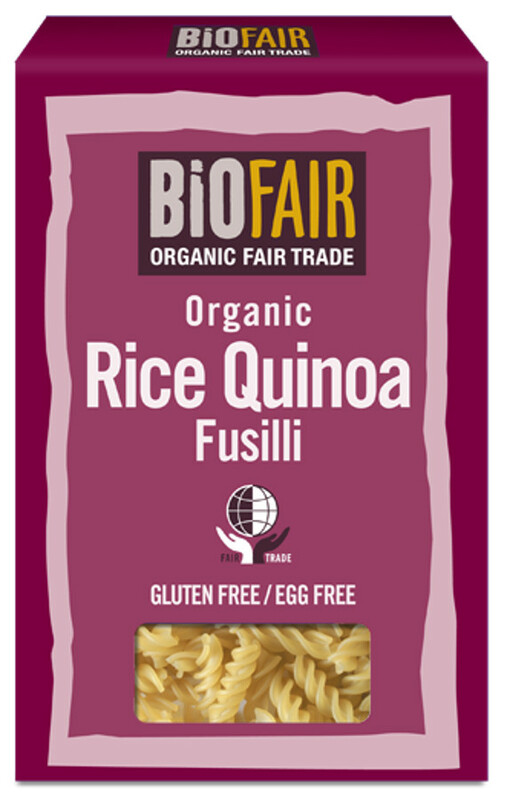 Biofair Organic Fair trade Rice Quinoa Fusilli from Bolivia is a naturally gluten free pasta. Easy to cook and holds in shape well. Cooking instructions: Put pasta in boiling water (approx. 3 litres of water per 227g of pasta). Boil uncovered, stirring occasionally for 13-15 minutes or until firm and tender. Drain pasta then rinse with warm water. Serve with your favourite pasta sauces and recipes. The Biofair Organic Rice Quinoa Fusilli Pasta - Fair Trade - 250g product ethics are indicated below. To learn more about these product ethics and to see related products, follow the links below. 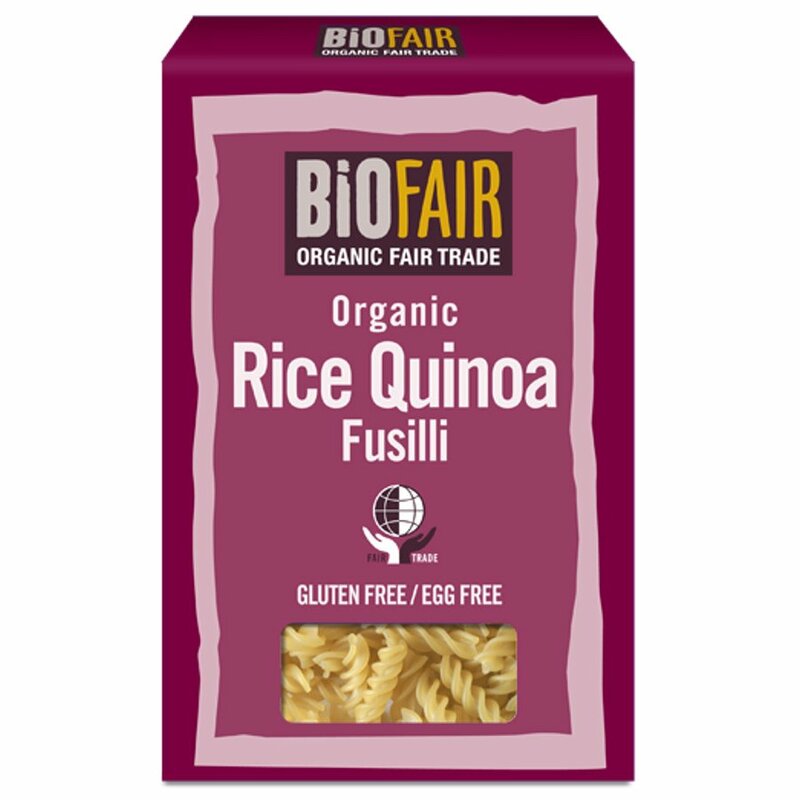 There are currently no questions to display about Biofair Organic Rice Quinoa Fusilli Pasta - Fair Trade - 250g.